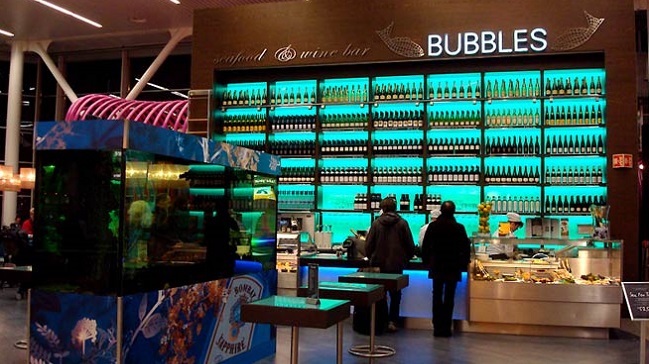 Your airport dining memories are most likely associated with eating pre-packaged sandwiches and processed pastries at the gate, resorting to fast-food burgers during long layovers and Full Irish Breakfasts before you catch your pre-dawn flight. But airports all around the world are taking dining to new heights, revamping aging terminals with innovative dining concepts, restaurants that serve from-scratch cooking and regional specialities and menus designed by Michelin-starred chefs, that will all leave you craving a ‘Delayed’ status. Whether you’re in the airport for a few minutes or a few hours, there’s no longer a need to settle for a pack of mints from the vending machine. Instead, make sure you’ve packed your appetite to sample the extension of these cities’ food scenes. From Miami to Munich and Barcelona to Boston, here are the 14 best airport restaurants in the world; you may want to adjust your travel plans accordingly. 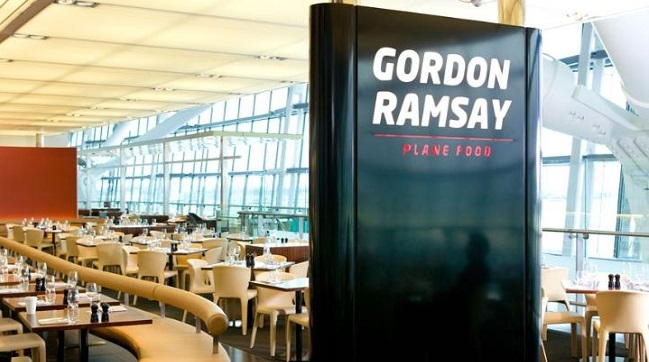 Reservations are recommended at the first airport eatery from award-winning celebrity chef Gordon Ramsay. Kill time watching the runway action through large picture windows while enjoying classic British fare like dry-aged British beef, English pea and broad bean risotto, toffee pudding and cheese plates. Jet-setters pressed for time can choose from the Plane Fast menu, organised by the amount of time it will take to be served, with a gourmet two course 25-minute or a 35-minute three course option. Or you can cause in-flight envy with your very only Plane Picnic, a selection of your choice of starters, entrees and desserts. What’s a trip to Boston without a bowl of clam chowder? If you missed the boat while visiting the city fear not. 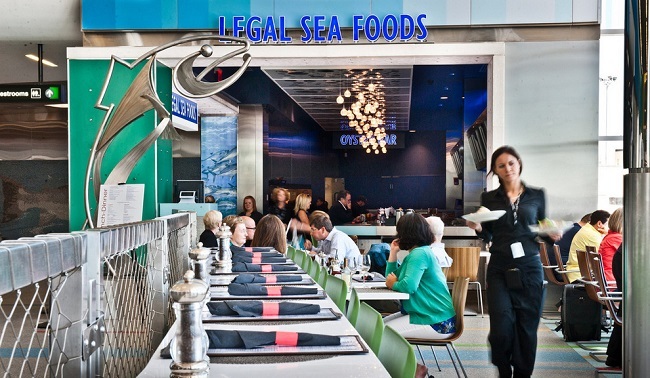 Legal Sea Foods, a Boston institution, has multiple outposts within Logan Airport serving their famous New England clam chowder, a dish that has been served at every presidential inauguration since 1981. Along with chowder you can expect other classics like freshly shucked Cape Cod oysters and Fish and Chips. The restaurant group began as a fish market in Cambridge in the 1950s and freshness is still key with a slogan: “If it isn’t fresh, it isn’t legal”. The brainchild of two Michelin starred chef Dani Garcia, one of the leading figures of the Spanish culinary scene, this gastrobar offers travelers traditional Spanish and Andalusian dishes with a contemporary twist. 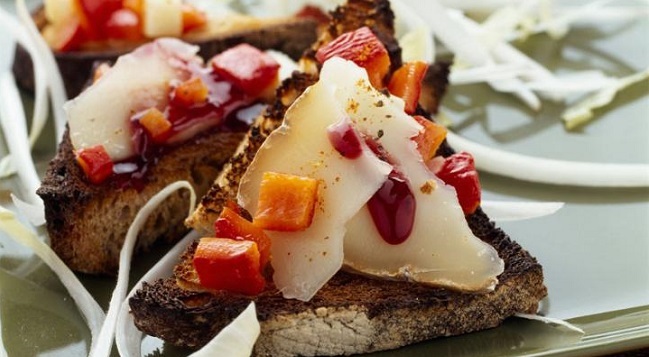 Just as you would in a traditional tapas bar in downtown Malaga, passengers can choose from a range of snacks and starters at a classic tapas display with popular dishes including cherry gazpacho, pringá (meat) croquettes and the oxtail pig burger. 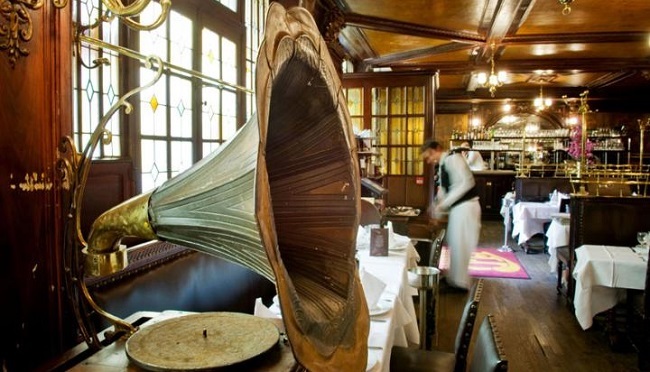 In Paris’ 10th arrondissement is the beloved Brasserie Flo, serving traditional dishes like grilled Chateaubriand with béarnaise sauce, sole meuniere, and crème brulee with bourbon-vanilla sauce. Shortly after you have waved goodbye to the Eiffel Tower you can relive this Parisian magic at Brasserie Flo’s sister restaurant at Charles de Gaulle Airport. 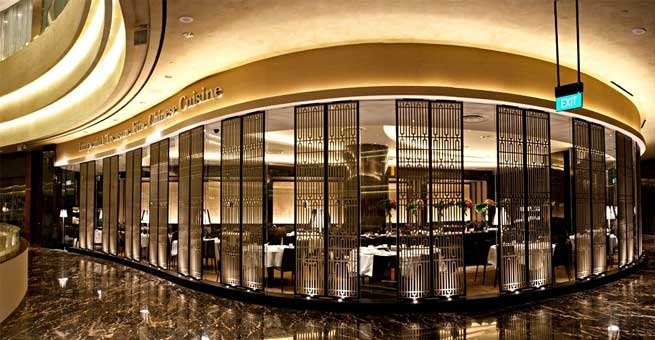 Modelled after the original, the brasserie serves the classic dishes, all of which can be paired with a selection of Alsatian wines. While the French like to linger over their meals, you can choose from the Express Menu which means you’ll be served within 30 minutes. If you don’t hold airport hotel restaurants in high esteem, Globe@YVR in Vancouver is sure to change your mind. Think award-winning food, floor to ceiling windows and cosy fires blazing in stone fireplaces. When not distracted by the panoramic views, sample the best of British Columbian cuisine with regional dishes made using local ingredients like seared Qualicum Bay scallops, Fraser Valley raised duck and Pacific salmon, along with the classics Globe@YVR. Wash it all down with local wine from the famed Okanagan Valley. With three Tortas Frontera restaurants in Chicago’s O’Hare airport you cannot pass through without getting acquainted with a torta, their Mexican grilled sandwich speciality. Created by Mexican-food master Rick Bayless, the eateries also feature guacamole bars complete with chips, salsa and toppings like bacon and sun-dried tomatoes. Go big at breakfast with an egg and chorizo torta or an open-faced ‘mollete’ sandwich including the caramelized plantain mollete, with peanut butter, caramel, and pecans; or be saintly at their yogurt bars with Greek yogurt and toppings like honey and granola. At Le Chef, an open and bright penthouse restaurant in Geneva airport, you can choose between five different spaces to take in the unspoiled views of the Jura mountains: a bar, restaurant, lounge, terrace or private rooms. The restaurant doesn’t peak at the views though, Chef Luzuy Benjamin has created innovative dishes with authentic flavours like squid ink spaghetti with wild octopus and Provence-style roasted lamb with tomato gratin. End on a high note with a selection of Swiss and French cheeses, or a rich chocolate lava cake. 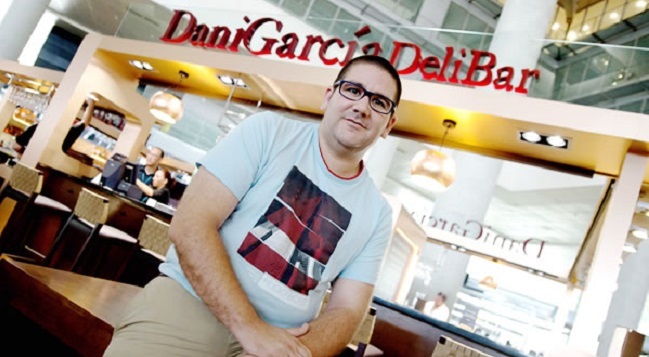 Chef Carles Gaig brings a taste of his Michelin star Restaurant Gaig to Barcelona airport with Porto Gaig. 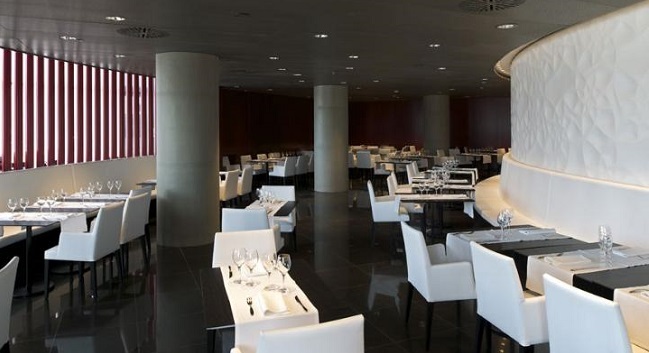 While not Michelin standard, this modern space, designed by architect Ricardo Bofill, excels in Catalan specialties. Dishes like slow braised beef cheeks and poached eggs over potatoes are prepared with excellent ingredients and the chef’s signature flare. The chef behind Manhattan restaurants El Quinto Pino and Txikito, Alex Raij, has gone a long way towards making up for the nightmare journey to and from JFK with Piquillo. Under a vaulted, tiled ceiling, the first Spanish tapas bar to open in a U.S. airport, Piquillo serves sensational tapas like creamy croquetas, and bocadillo of serrano ham on a tomato-rubbed baguette, or pick up a sandwich for the plane such as the fried calamari sandwich with spicy mayonnaise. 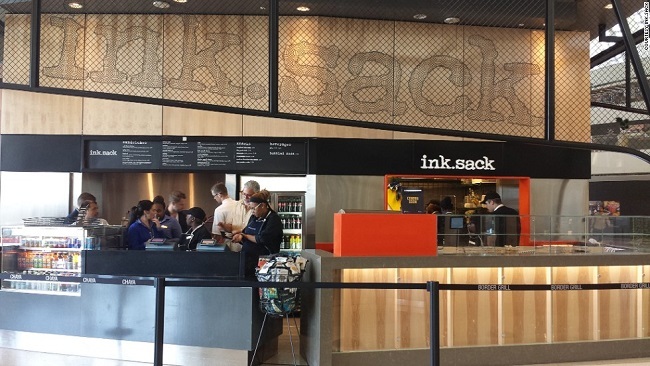 ink.sack is a sandwich bar but, unlike your last sub-standard airport sub, the sandwiches created by chef Michael Voltaggio are creative, high-quality and delicious. Just like his hit West Hollywood shop, ink.sack serves artisanal sandwiches like the Spanish Godfather with ham, tomato, chorizo and manchego, and gravlax with pickled onions, capers, an “everything bagel”. 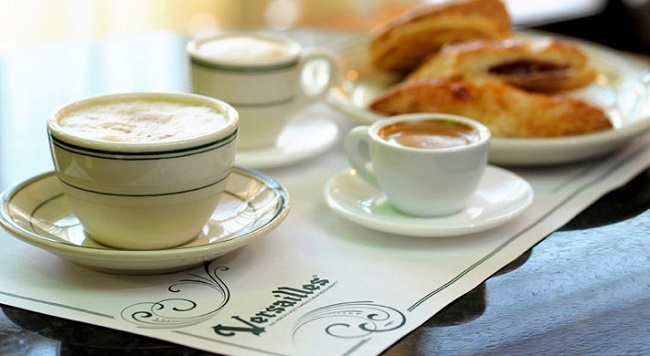 Cuban culture infuses Miami’s dining scene and its airport too it seems, with four locations of South Florida’s iconic Café Versailles located within Miami International airport. 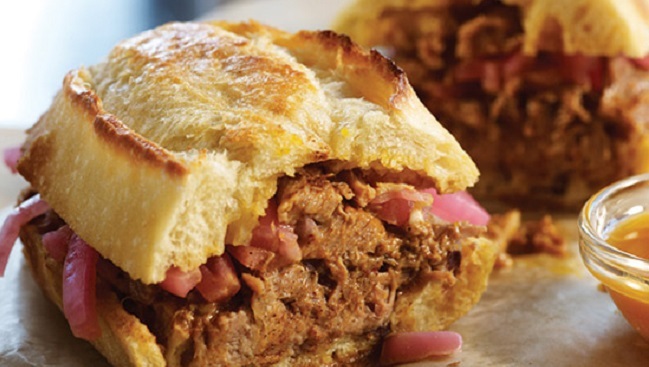 A grab-and-go format, while running to catch your flight pick up authentic meals and snacks like Cafe Versailles’ classic Cuban sandwich, made with sweet ham, roast pork and Swiss cheese on toasted Cuban bread and sweets like pastelitos, flaky pastries with fillings such as coconut, guava, and cream cheese. The main venue in Terminal F is open 24 hours a day so a Cuban coffee is always at hand to keep you awake. Connected to Changi Airport by covered walkways, the Crowne Plaza is hard to miss with its unique architectural style, courtyards and extensive rainforest-style gardens. While there is a balmy tropical ambience in the hotel, one of its restaurants, Imperial Treasure, is quintessentially Chinese with an extensive Cantonese menu including fresh fish, roast goose and deep-fried prawns smothered in a wasabi sauce. As the restaurant’s name implies, 8 Bubbles Seafood & Winebar has a sparkling collection of bubbly and wines, both of which are the perfect partners to its fresh seafood dishes, including the extremely popular platters of fresh oysters and the house-special traditional Dutch raw herring served with pickles and onions. 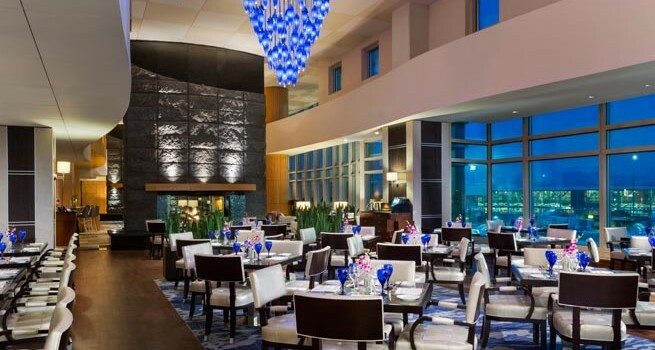 Though even more impressive than champagne and oysters is the bar’s giant saltwater aquarium filled with exotic fish and in-house casino. Just be sure not to miss your flight with these pre-flight distractions. 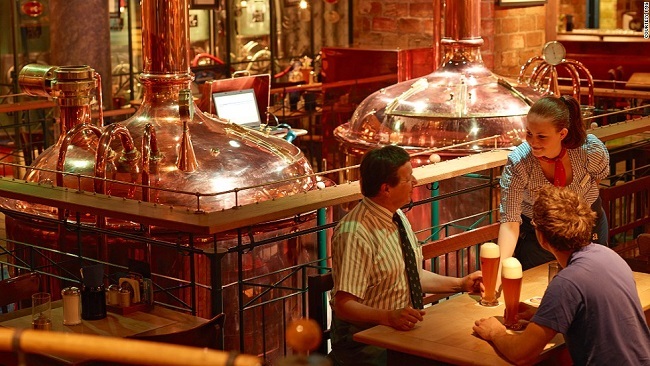 At Airbräu Brauhaus, Europe’s only airport brewery, you can relax in the beer garden and even take the brewery tour before your flight but beer is not the only thing on offer. With a menu based around a different theme each day, you can sample a new local speciality every time you fly; Monday is schnitzel day, Saturday is suckling pig day and Sunday is a Bavarian feast with the ‘Airlebnis Buffet’.